Tre Jones’ Defense: The Duke freshman has been called Mike Krzyzewski’s best on-ball defender at the point guard position, and his last two games do nothing to temper that very high praise. As an example, St. John’s dynamic all-Big East lead guard Shamorie Ponds was stifled into an 11-point nightmare of a performance last weekend that resulted in a 30-point blowout. Jones then held Boston College leading scorer Ky Bowman to a season-low 11 points on 5-of-17 shooting just two days later. Both players are seasoned veterans who average more than 20 points per game, but who also looked overmatched by Jones’ unrelenting ball pressure. The freshman did not suit up in Duke’s home win against Virginia last month, and it is possible that Ty Jerome’s back injury may deny us the joy of these trigger men locking horns on Saturday. But, whether it is Jerome or Kihei Clark orchestrating the Cavaliers’ offense, the manner in which they deal with Jones in getting Virginia into its sets, will be a key in determining the outcome. 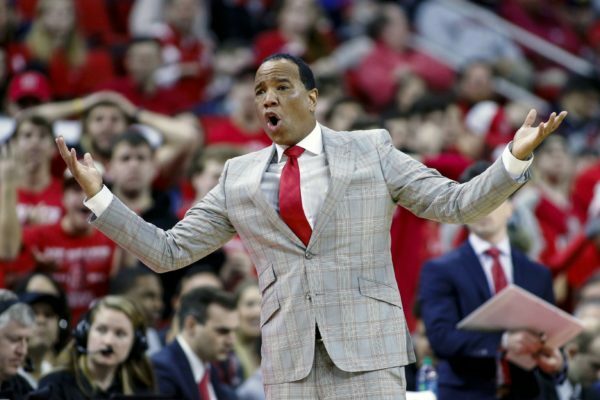 NC State’s At-Large Profile: There are many ways to skin a cat, and the Wolfpack proved that aphorism in spades in their back-to-back losses this week. Saturday’s inexplicable 24-point home performance against Virginia Tech reset the ACC bar for offensive ineptitude — representing the lowest point total by a conference school in the shot-clock era. The Wolfpack’s field goal percentage of 16.7 percent was also the lowest in the history of the league for an entire game, as more than 70 players around the world of college basketball outscored them on Saturday. The good/bad news is that NC State bounced back by scoring 96 points in a loss at Chapel Hill on Tuesday night, allowing a season-high 113 points on 1.35 points per possession. All three of the team’s losses have been to opponents inside the KenPom top 10, but these extreme aberrations of performance on both ends of the floor have really put a dent in its efficiency metrics. Now, the #42 Wolfpack are flirting with a bubble conversation that didn’t seem likely a few weeks ago. Their next two games — at Pittsburgh and home for Syracuse — are critical to get back to .500 in league play before a trip to Cameron Indoor Stadium looms on February 16. This entry was posted on Thursday, February 7th, 2019 at 2:08 pm by Matt Auerbach	and is filed under acc, feature, microsites. Tagged: ky bowman, mike krzyzewski, roy williams, shamorie ponds, tre jones, ty jerome. You can follow any responses to this entry through the RSS 2.0 feed. You can leave a response, or trackback from your own site.